WOW! 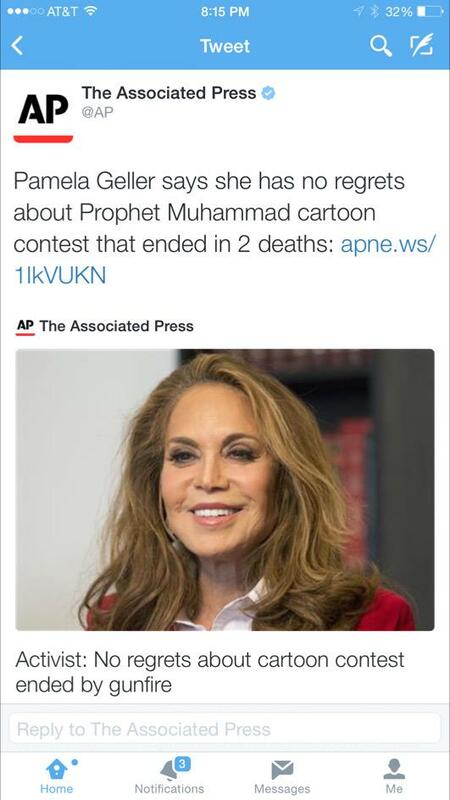 AP Attacks Pam Geller For "Contest That Ended in 2 Deaths"
The AP altered the headline slightly for its print article. Two terrorists were shot dead after they tried to blow up the building. 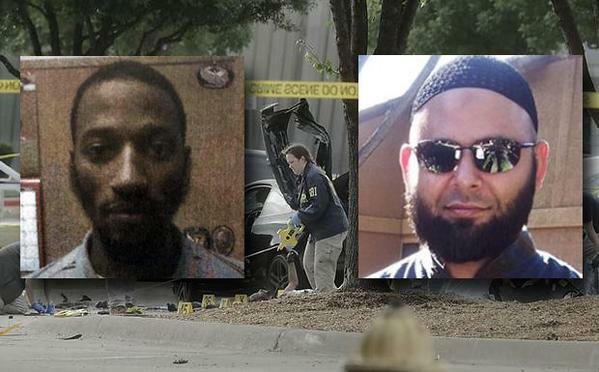 Elton Simpson (on left) , reportedly tweeted minutes before the attack that he and his fellow assailant had pledged allegiance to Islamic State leader Abu Bakr al-Baghdadi. 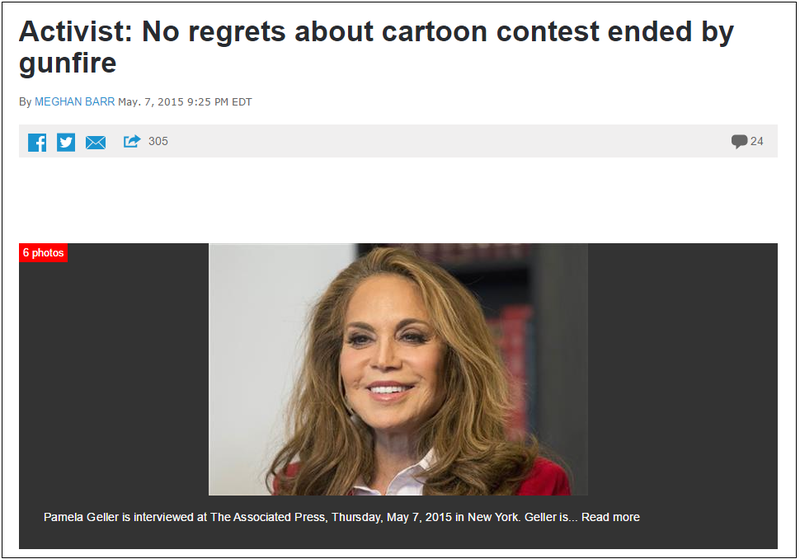 The AP just tried to blame Pamela Geller for their deaths.